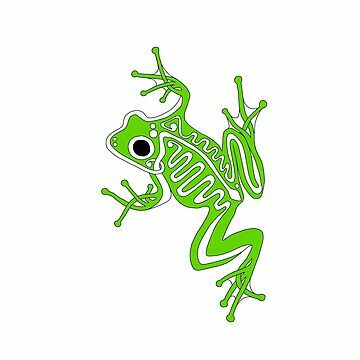 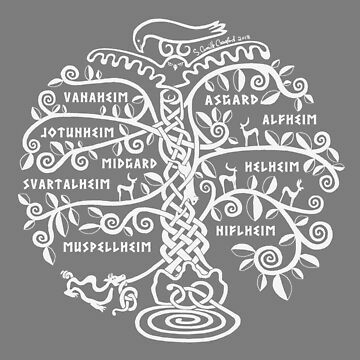 Freyr, or Frey, is a Germanic god associated with fertility, peace and prosperity. 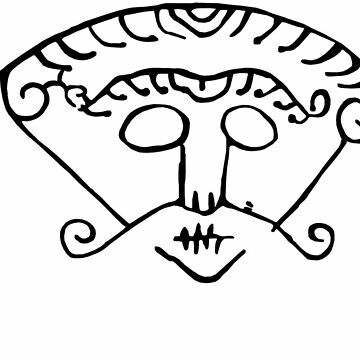 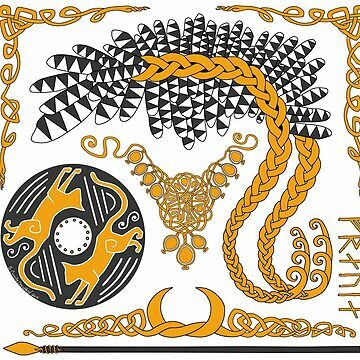 He is brother to the goddess Freyja, and son of the God Njord of the tribe of Gods known as the Vanir. 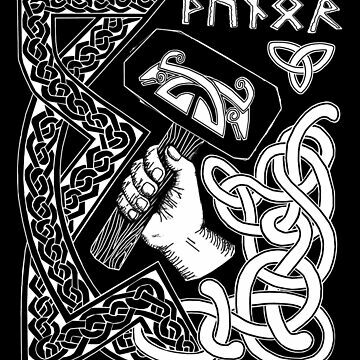 Freyr is worshiped widely by the Anglo-Saxons as well as the Norse. 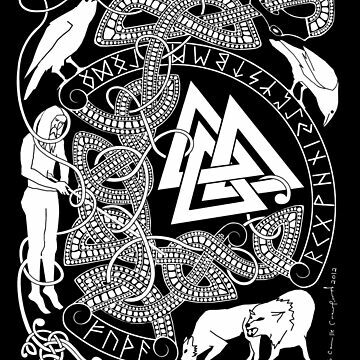 Here he is depicted with his boar Gullinbursti, his ship Skidbladnir, as well as with the agrarian cycles, hunting and animal husbandry. 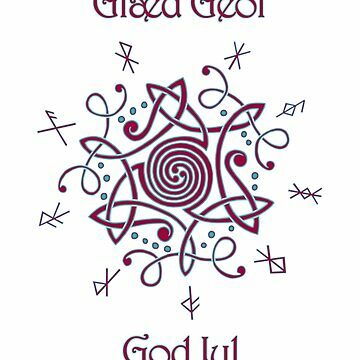 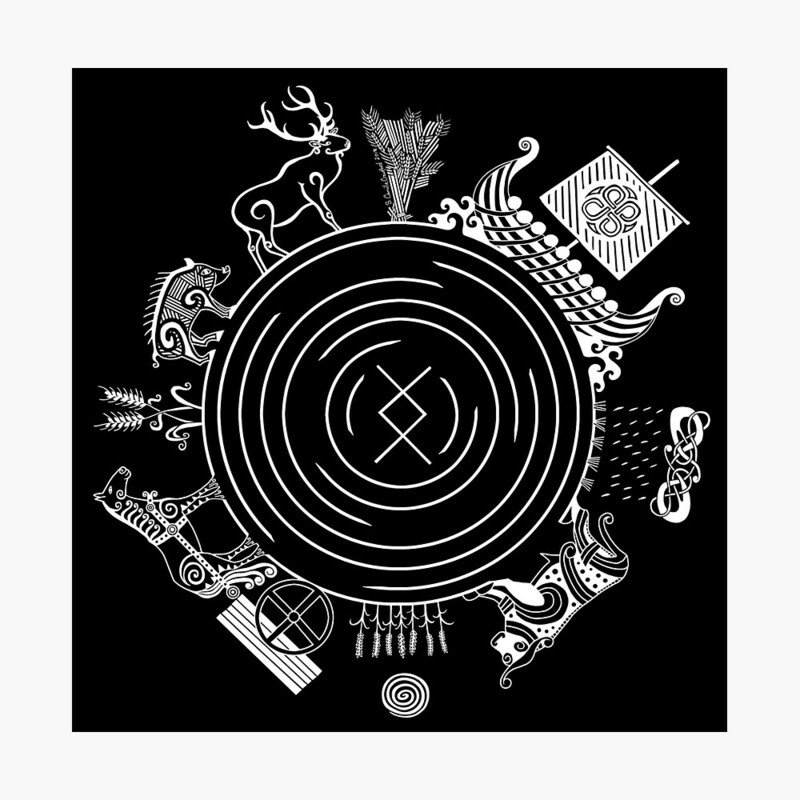 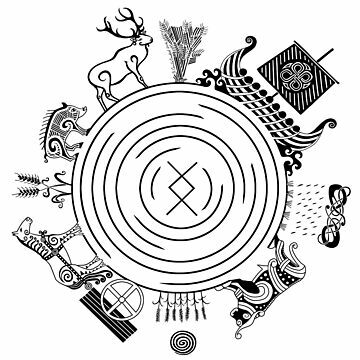 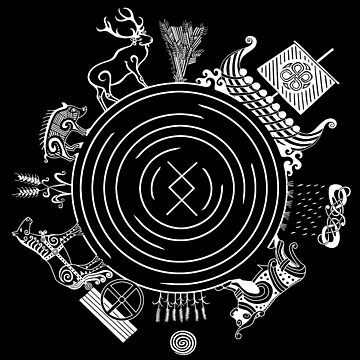 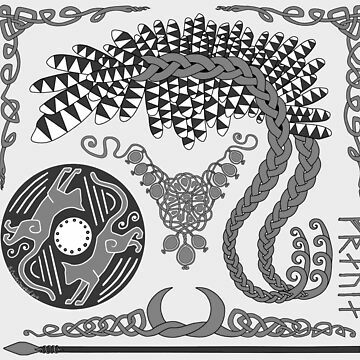 The rune Ingwaz is in the center and is Freyr's rune. 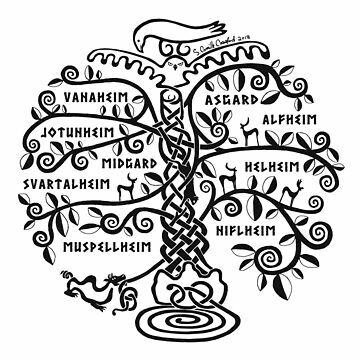 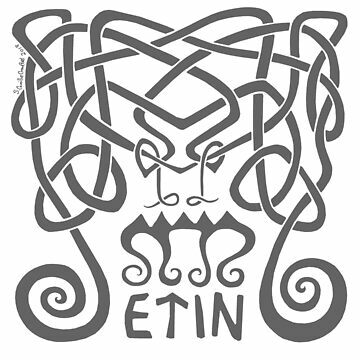 Another name for Freyr is Ing.